Chancy at Snappy’s says Smith Lake has a little bit of ice and open water. Chancey pulled some nice perch out of there. The Perch Assault on Smith Lake has been postponed to February 23rd. 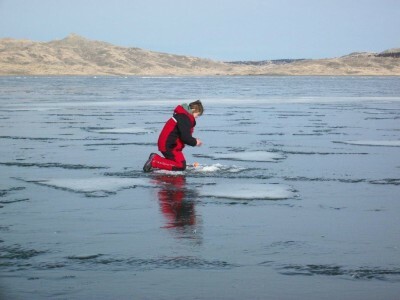 Duck Lake has had some reports on Duck Lake on the Blackfoot Reservation with a little bit ice. Open water fishing on Whitefish Lake has been good. Flathead River been up and down with the rain mudding up the water, but there are still a few in there and it should pick up. Bitterroot Lake producing for so folks with rainbows trolling. Koocanusa, been a little slow but doing ok for rainbows. December 15th there will be various ice fishing seminar classes at Snappy’s starting at 9am, 10am, 11am, and the final class starts at 1pm. Leonard from Robert’s Bait and Tackle says little bit of ice. Bailey’s has 4-6 inches, Fresno in King’s Bay has around 4inches for ice. Holter still doing well with night crawlers and mellows. Tiber’s folks still jigging with minnows in boats. And the river’s been hit and miss. If you have any questions or need rod & reel repair call Leonard 406-454-1877. Shelby from Rocky Mountain Supply in Dillon says their snow was more of a dusting. There’s no ice on Clark Canyon. The waterfowl hunting’s been good for some, and the wind has been tough for others. February 1st Rocky Mountain Supply in Dillon Dogs Day Coyote Hunt. If you’re in the Dillon area, stop into Rocky Mountain Supply for more information or call 406-683-2308.